May 12, 1364 – Polish King Kazimierz III (Casimir) the Great issues a royal charter establishing a university in Kraków, the capital of Poland at that time. While there are already some thirty universities in operation in Europe, this is the first university in Poland, and the second oldest in Central Europe. Charles University in Prague was founded some twenty years earlier, in 1348. The university has no buildings, the lectures are held in various buildings around the city. After Kazimierz’s death in 1370, his successor Louis I of Hungary has no interest supporting the Polish university, so the few professors and students move to Prague or other universities. The kings change, however, and in 1390s, the new king and queen – Władysław II Jagiełło and Jadwiga of Anjou – decide to revive the university and succeed. Jadwiga even bequeaths part of her private wealth and estate to the university. The following year, 1400 King Jagiełło donates to the university a house he bought near the edge of the city, and inaugurates reopening of the university on July 26, 1400, with 206 students enrolled. If you’ve never been to Kraków (Cracow), Poland and aren’t sure whether it’s worth visiting, this essay is for you. What’s is there to see in Kraków, you may ask? Take a look at the photos below, highlighting just a few places you might enjoy seeing in this beautiful city, with history going back into the medieval times. 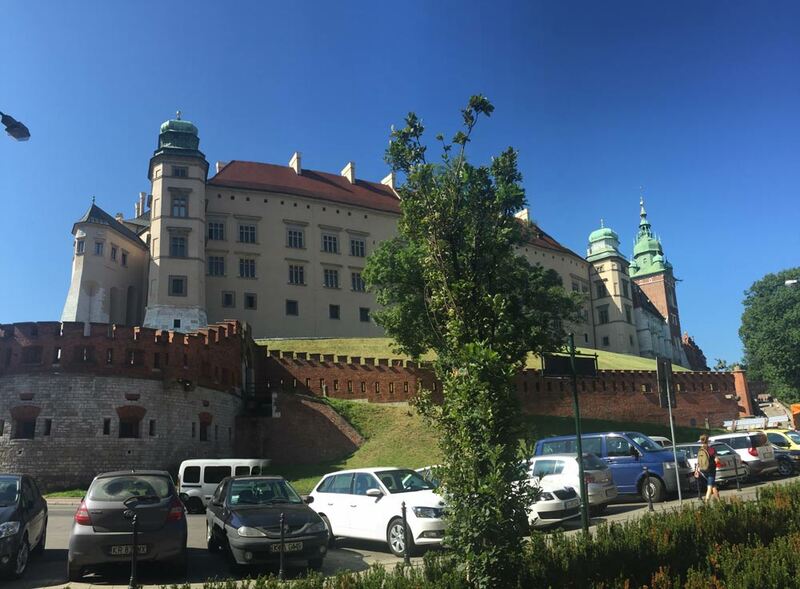 The Wawel Castle is, of course, a must. Dating back to the tenth century, it was the seat of the kings of Poland for several hundred years, and includes both Gothic and baroque elements. You need tickets to go inside the castle, but walking around the Wawel Castle hill, and within the courtyard is free of charge.